Visit our NEW WEBSITE !!! Fully updated with online ordering !!! 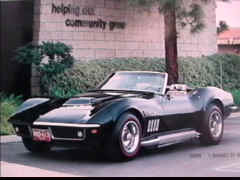 The Black L-89 11,000 mile dual disc clutch feature car of the book s/n 20,981 built April 9th 1969, "THE day before the 9 week GM SHUT DOWN strike." NEVER BEFORE SEEN PHOTOS , RESEARCH AND FACTS . 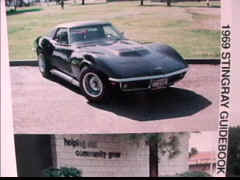 FOLLOWING IS SAMPLES FROM THE 1968-69 GUIDEBOOK by RICK BIZZOCO: ORDER:::::::::: 800-597-4132. 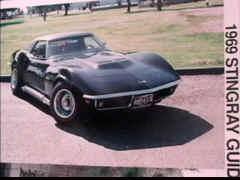 CORVETTE ORDER COPY FROM CAR # 20,981, from : 1968-69 GUIDE BOOK BY RICK BIZZOCCO. THE ASTRONAUTS OF APOLLO 12 AND MORE…………. FACTORY BODY DROP SHOWING DETAILS AT ST. LOUIS. NOV. 7 , 1969. THE GUIDE BOOK MAKES A GREAT ORDER GUIDE FOR USED PARTS. NOTE PAGE NUMBER IN BOOK TO ORDER USED PARTS.